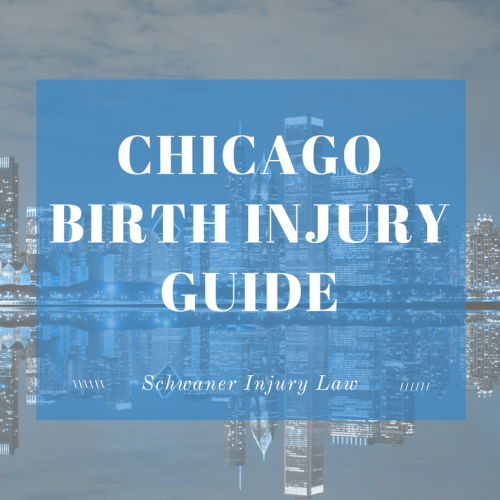 Chicago Birth Injury Guide – Did My Child Suffer a Birth Injury? In April of 2017, a woman of Chicago filed suit against Chicago’s Loyola University Medical Center for allegedly failing to properly treat her newborn daughter during her 2014 birth, leading to permanent injuries. While medical advancements including improvements in fetal monitoring are leading to fewer birth injuries, it is still possible that what is supposed to be the happiest day in a parent’s life is instead one of the most devastating. Even the smallest of mistakes in the delivery room can lead to a lifetime of medical expenses, so it’s important to find out the cause of your child’s birth injury and determine if your doctor or another medical professional was negligent and ultimately responsible for the injury. Did My Child Suffer a Birth Injury? Your newborn spent more than a day or two in a neonatal intensive care unit. Your baby’s doctor believes your child has cerebral palsy. Your baby shows signs of arm limpness or paralysis. Your baby has suffered a fracture. Your baby shows signs of facial paralysis, such as eyelids that don’t close completely or mouth muscles that only move on one side of the face. Your baby is having trouble feeding. Your baby has developmental delays, including delayed walking or talking. A birth injuries are the result of physical damage an infant sustains during injury. They are most common during complicated deliveries or when a mother suffers complications during pregnancy. Brachial Plexus Injuries. During birth, the nerves of the spine that send signals to the neck, shoulder, arm and hand can become damaged, especially if it is a difficult delivery and the baby is too large to comfortably fit through the birth canal. The nerves can be stretched, torn or separated completely from the spine, the latter leading to complete paralysis of the arm. Bone Fractures. Difficult deliveries can lead to bone fractures, most often a fractured collarbone, which can occur when a baby is too large for delivery. Skull fractures are also possible during assisted births, when physicians use either forceps or vacuum extraction. Injuries that involve bleeding either beneath the scalp or beneath the skull. Scalp-related bleeding usually recedes on its own, but bleeding of the skull can lead to brain damage due to pressure that cuts off oxygen to the brain or can trigger seizures. Facial Paralysis. Damage to facial nerves can occur during complicated or assisted births. While damage can be temporary, it can also lead to permanent loss of control over facial muscles. Spinal Cord Injuries. Spinal cord injuries are often the result of a traumatic birth, and can be caused by the use of forceps or vacuum extraction. Spinal injuries can lead to complete paralysis or cause neurological problems including lack of muscle control. Cerebral Palsy. Two or three in every 1,000 births result in cerebral palsy, a condition that can range in severity. Its characteristics include weak or spastic muscles and diminished motor skills. 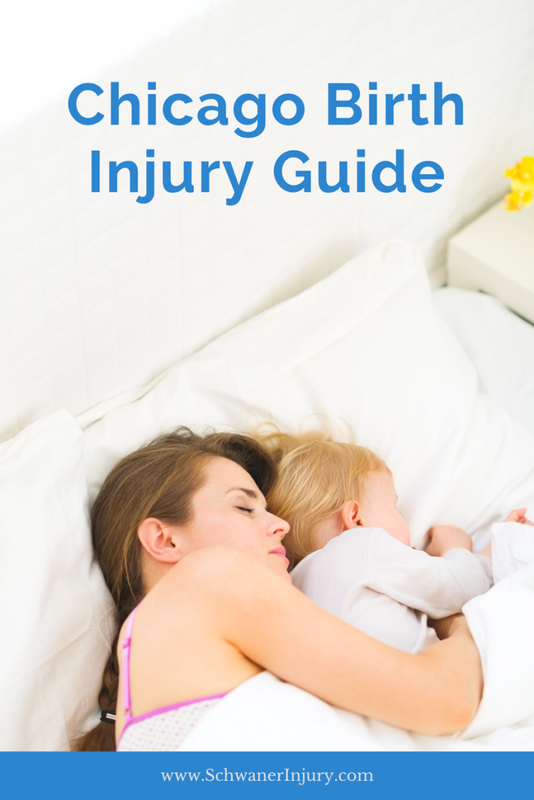 What Should I Do If My Baby Suffers an Injury At Birth? While caring for the health of both mother and baby are the first priorities if you suspect a birth injury, there are some things you should do following the birth if you suspect negligence. Get a second opinion. It’s important to know what’s going on with your baby, and if you suspect medical malpractice, clearly the trust you may have had with your obstetrician or his or her staff will be severed. Make sure you treat the visit as you would any other medical visit, and do not mention that you suspect negligence. That could change the way your second doctor responds to you during your visit. Find the right attorney. If you believe your child has suffered a birth injury and a second opinion has confirmed it, it’s important that you have the right attorney at your side if you choose to file a medical malpractice suit to cover the costs of your baby’s care. 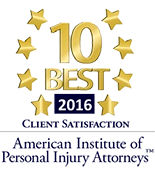 An experienced attorney will understand the potential pitfalls, including the difficulties involved in filing a medical malpractice case. Even with birth injuries, malpractice cases are notoriously difficult to prove, since doctors and hospitals have experienced legal teams as well as multiple experts to testify on their behalf. Not only are laws in place that are designed to protect medical professionals more than injured clients, doctors and hospitals will often go to great lengths to prove that the doctor who delivered your baby was not at fault. Some experts will lie on the stand to protect another doctor, and filing a medical malpractice suit puts your entire life under scrutiny, so your attorney needs to be tough and ready to fight. Keep meticulous records. Make sure that every consultation, medical bill, medication, appointment or referral is kept in one place. Gain access to your medical records so you’ll know who was in the delivery room with you who could offer some extra insight, and keep a journal of your baby’s progress from day to day. Attend therapy. It’s important to take care of yourself during what is likely a traumatic, difficult and sorrowful time. Mental health care can make it easier to cope, not only with the stress of raising a baby with a birth injury, but also the additional anxiety brought on by the intricacies of a medical malpractice suit. Be careful what you say to others regarding your case. The woman filed her suit against Loyola University Medical Center in May of 2017, but in September of 2016, she posted her story on a GoFundMe page that could put her case in jeopardy. According to the story she shared in an effort to raise funds for her daughter’s necessary kidney transplant, her daughter was born prematurely, but “was healthy and in perfect condition.” Months later, however, she took her daughter to the hospital with a high fever, and was sent home with Tylenol. The baby later suffered seizures and was diagnosed with meningococcal meningitis. Because the story and the details of her lawsuit differ, she could face scrutiny on the witness stand that destroys her case. https://schwanerinjury.com/wp-content/uploads/2017/06/chicago-BIRTH-INJURY-GUIDE-1.png 788 940 admin https://schwanerinjury.com/wp-content/uploads/2016/04/Logo-837x321.png admin2017-06-30 15:19:312019-01-26 10:30:26Chicago Birth Injury Guide - Did My Child Suffer a Birth Injury?